According to a letter between Vince Piggins and Joe Pike in early January 1967, the first Z-28 rolled down the assembly line on December 29th, 1966. 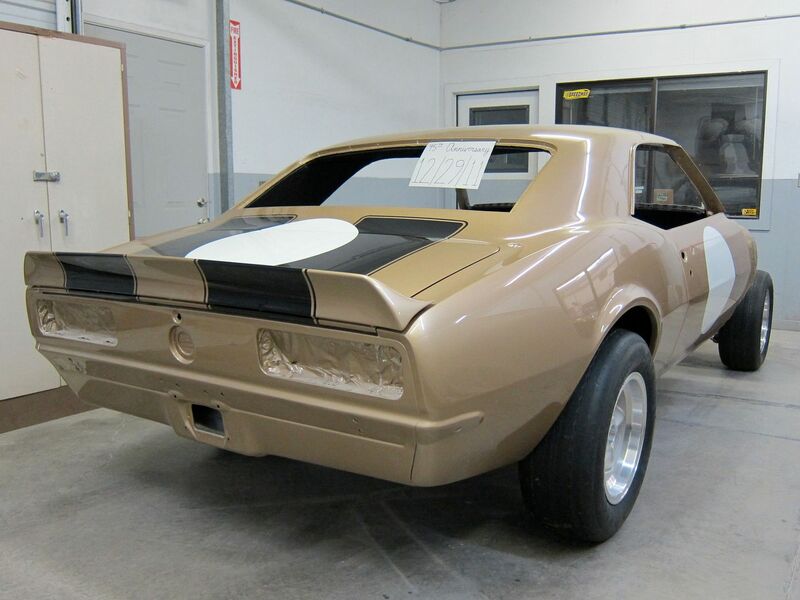 Since today marks the 45th anniversary of that event, here are some photos of the car as it is undergoing restoration back to when it Trans-Am raced. 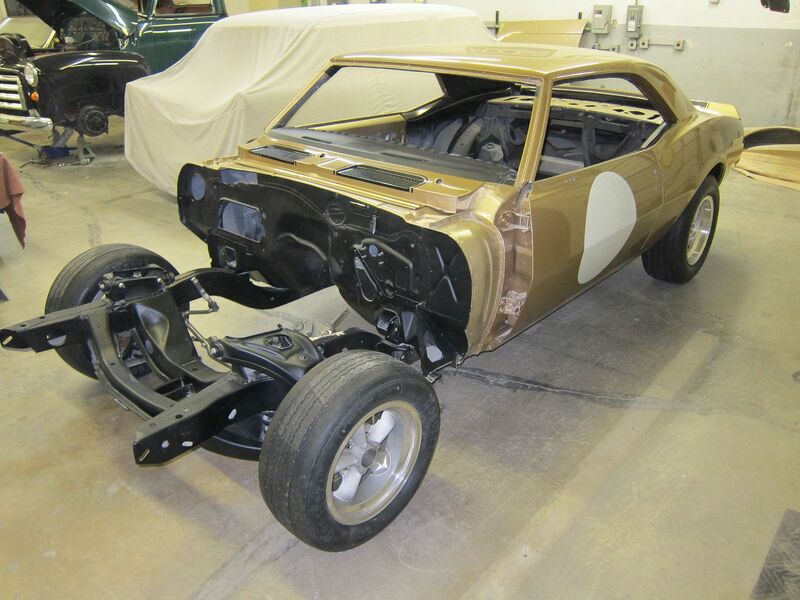 The first Z/28 is looking great, Jon. Thanks for the photo update. Great photos. Thanks for sharing. Is that your car? Very nice! I can only imagine what it will look like when it is done. 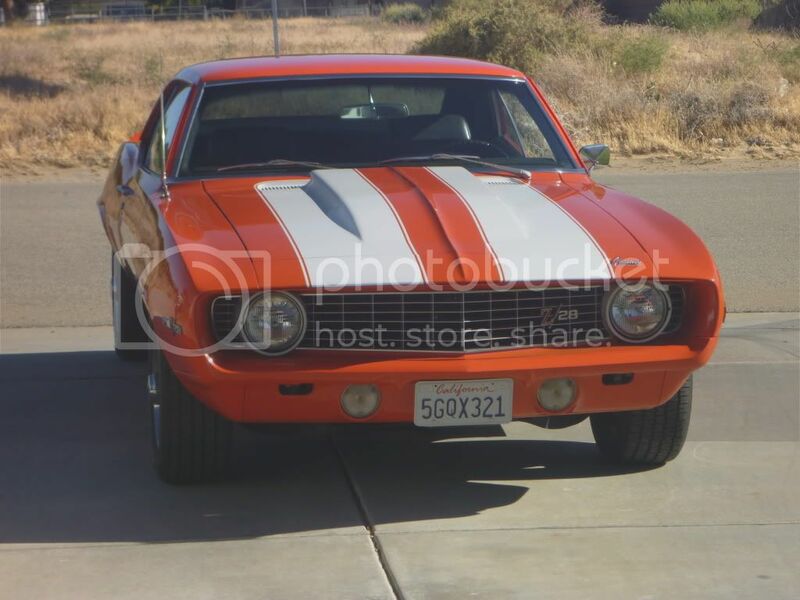 That Camaro is beautiful! I've always liked that color combo and the race trim. Can't wait to see it finished. Interesting original safety cage configuration, are you going to vintage race the car or just restore to period correctness, tell us more about the build..pics..pics, Love to see the first Z come back to life! Thanks again. The original roll bar was a bolt-in affair. Obviously there is not one bolted in the car at the moment. More stuff will get posted in due time. This was just meant to show the current state of the car and be a quasi-celebration of its 45th "birthday". Very nice Jon; thanks for sharing. I'll have to remember to celebrate mine on June 12th. Thanks Fred and Joe. Happy New Year to everyone! Not a T/A race car...but ordering it was inspired by them. Happy birthday to your car, Fred!